Two down, two to go! We’re at the halfway point in the Lone Star Circus School’s student show for 2013. It’s called Ice Cream. I can’t begin to tell you how good everybody is. So I am going to post some photos my grandma took. My grandpa took some videos, but they’re still processing, so I’ll add them later. I’ve seen Mara and Diedra Papakostas every year for 3 years, and they just keep getting better. Their tandem trapeze act was great! 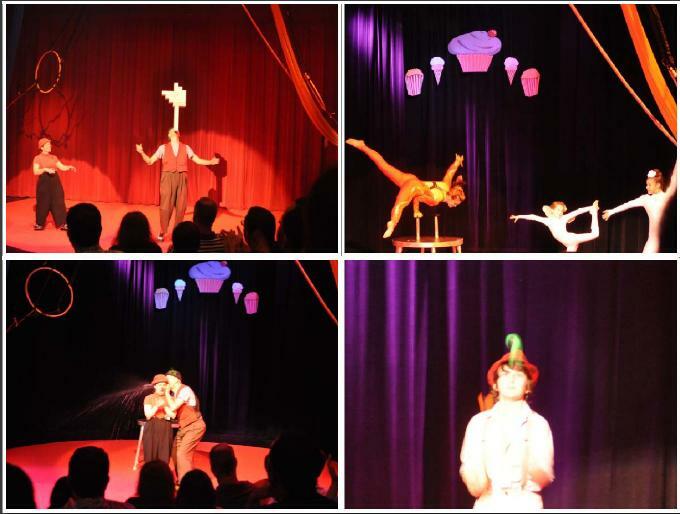 These are some photos of me from the Saturday Matinee. 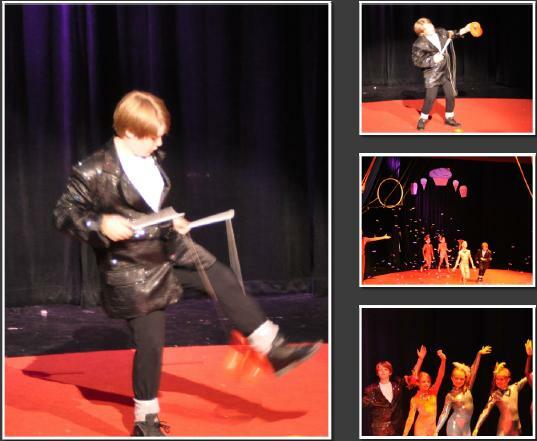 The pictures on the left and at the top are from my diabolo routine, and the other two are from the finale. That last one is me “holding the pose” while everyone else takes their bows. Your arms get tired, but it’s important to show respect for the other performers and wait quietly while they get their turn in the spotlight. 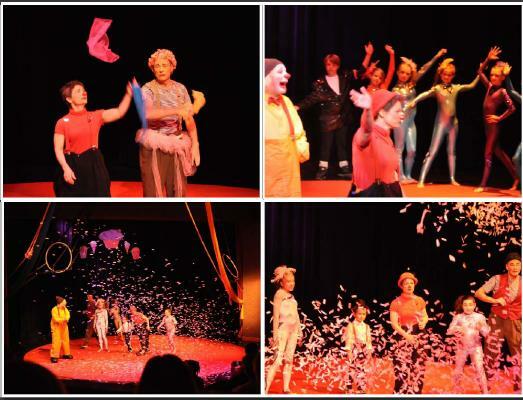 These are some photos from the finale — on Friday night they dropped confetti over the whole theatre, icnluding the audience. But after that clean-up job, the confetti only went on the stage. Monday (top left) was the first person to show me how to juggle or balance anything on my chin. His box-balancing routine is amazine. Laura Smith (in red), Gitana Doyle (with wings) and Brittany Austin had an amazing contortion and hand-balancing routine called “La Femme”. Chet Monday (lower right) is an amazing performer — he’s an actor, dancer, juggler, and clown (when he’s not playing sports at his school).